« Holy Double Hurricane, Batman! I checked out your brochure, and I love how much you have for just ONE day! It does look like a convention. Even the program schedule is like a con schedule! Plus, you have an artist alley. I can tell by the diagram that the library has just enough space for all the lectures and other activities. Wish I could have checked it out! Do you have any pictures? Good luck in your future convention activities! Hi Lyntha, thanks for your comments. My coworkers and I try to make it as fun as possible and bring in as many elements of a real convention (artist alley, viewing room, one year we had gaming, etc. ), all free of charge to our visitors. We do have pictures and some great video of the Cosplay Runway with the 501st being delightfully EVIL! Thanks for visiting our blog. 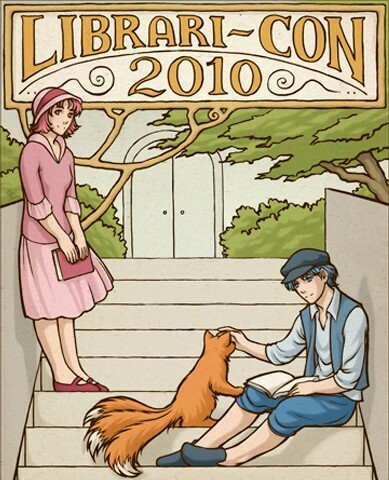 Librari-Con 2011 will be held September 3rd (Labor Day Weekend). If you’re in the area, you’re welcome to stop by.